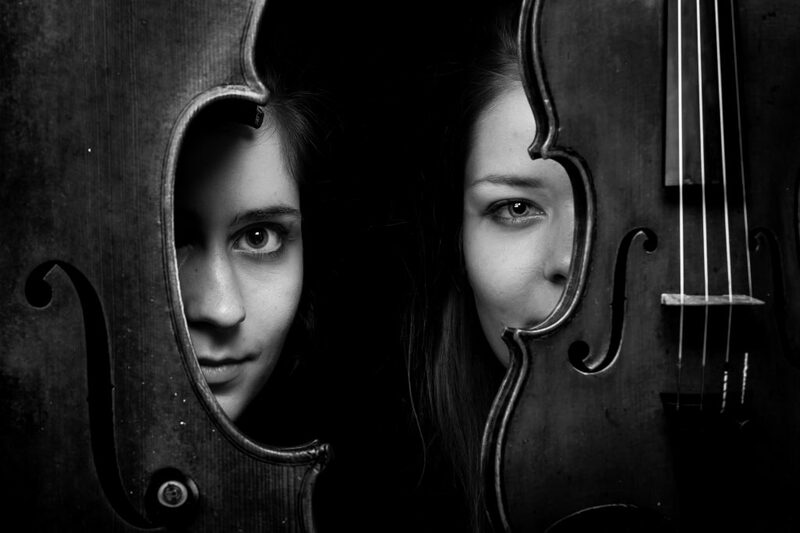 String duo Horvat-Grčman is praised for their inspiring, mature and musical playing. Violinist Maja Horvat is currently studying in the Royal College of Music in London, and the Cellist Ema Grčman is studying at the University for Music and Performing Arts in Graz. They started playing together in 2016 and quickly made a good impression on the audience. They performed concerts at the Baroque hall Radovljica (Slovenia) and Tartini Festival (Slovenia). In 2017 they entered the TEMSIG Slovenian music competition for youth and won the first prize, a special award for receiving 100 points and a special award for an outstanding interpretation of Duo for violin and cello by Z. Kodaly. They have also received many prizes which include an EMCY Prize, recitals and appearances at Festival Ljubljana, Soboški dnevi and Festival Lent. They also received an award from organisation Imago Sloveniae which included a concert in the cycle Nights in the Old Ljubljana. In 2017 they appeared with their concerts abroad, in the Netherlands at the renowned chamber music festival, Stift Festival. They are also collaborating with the Music youth of Ljubljana GML and are regularly performing with concerts in different Slovenian cities. In February 2018 they made a debut in Ljubljana, with the Slovenian Philharmonic Orchestra with whom they performed the famous Double concerto for violin, cello and orchestra by Johannes Brahms. As a duo they were working also with famous musicians and professors, such as: Prof. Daniel Rowland and Prof. Julian Arp. If you are interested in working with Duo Horvat-Grčman, please get in touch with the EMCY Office. P. Vasks – Plainscapes for choir, violin and cello.